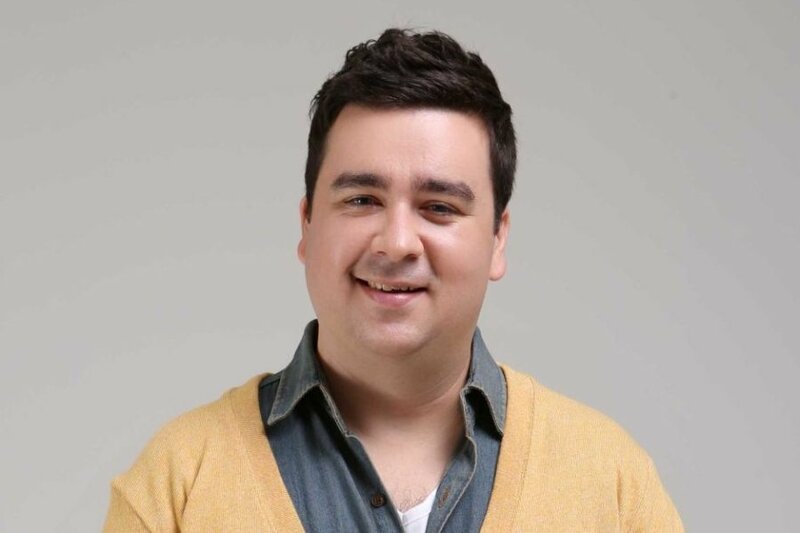 Sam Hammington is arguably one of the most prominent TV personality in the South Korean entertainment industry. He rose to fame for his appearance in Korean military-themed reality show Real Men in 2013. Therein, viewers found him interesting for his fluency in Korean as well as for his funny but largely positive reaction to the Korean military training especially as a Caucasian with no prior experience. His work on the series further earned him a 2013 MBC Entertainment Award. Read on as we take you through the world of the Korean based Aussie entertainer. He was born July 31, 1977, in Wellington, New Zealand to a New Zealand father, Bruce William Hammington and an Australian Mother, Jan Russ who is a casting director. He was named Samuel Mayer Russ Hammington and grew up in Melbourne, Australia. Courtesy of his mother’s career, he had the privilege to work in the Australian television industry from an early age. His earliest on-screen credits include Holiday Island (1981), All the Rivers Run (1983), The Flying Doctors (1983), and Neighbours (1985). However, he decided to focus on his studies reasoning that proper knowledge would come in handy in any pursuit he embarks on. Following his secondary education, he enroled in the Swinburne University of Technology. While there, he decided to take up an Asian language to help build up his resume, thus, he studied Korean for 18 months. He graduated with a double degree with majors in Marketing and Korean Studies before transferring to Korea University in 2002. During the 2002 World Cup, Hammington got an opportunity to work in the Korean television industry, drawing on his earlier TV exposure and knowledge and fluency in the language, he has not looked back since then. Hammington has worked in various fields of the industry such as radio, television, and films. Moreover, he was dubbed Korea’s first foreign comedian after his breakout performance on Gag Concert, the nation’s most popular comedy program in 2005. His works also include co-hosting a radio programme called Drivetime from 2008 to 2012, co-hosting the variety talk show Witch Hunt in 2013, the TV series Let’s Eat (2014), a cameo appearance in episode 15 of the show Who Are You: School 2015, and in 2017, he was cast in Teacher Oh Soon-nam as Cha-Saem. He has also starred in films such as How to Steal a Dog (2014) and lent his voice to film characters such as the soldier in the boat in 2002 film Jaemitneun Yeonghwa and the English explorer in Antarctic Journal (2005). Over the years, the Korean-based Australian entertainer has become quite the big star in South Korea. Thanks to the numerous variety show he has also appeared in and his comic contributions, he is fast becoming the fans heartthrob. Since 2013, he has appeared in a number of top Korean tv shows such as True Justice, Infinite Challenge, Creaking Heroes, Happy Together, 2 Days & 1 Night, Battle Trip alongside Sam Okyere. The others include the KBS2’s The Return of Superman which follows celebrity fathers in South Korea as they look after the home and children, My Neighbor Charles, Non-Summit and Running Man. For his performance in Real Men, he earned the 2013 MBC Entertainment Awards for Best Male Newcomer in Show/Variety. Sam is married to a Korean woman, Jung Yumi, who he hitched with since 2013. The duo had two wedding ceremonies in their respective countries; a traditional Korean wedding in Korea and a second one at the Melbourne Zoo, Australia. They share two sons, both of whom were born in Korea. Their first son, William Bruce Hammington (Jung Taeoh) was born after various failed attempts to conceive including four in-vitro fertilization (IVF) and 2 artificial insemination procedures. He eventually arrived on July 12, 2016, while his brother, Bentley Hammington (Jung Woosung) was welcomed the following year on 8th November 2017. Though he is famous as a comedian and actor, he is more prominent as “William’s dad,” courtesy of his regular appearance on The Return of Superman with his son William who has won the heart of viewers with his delightful expressions and his smarts. Furthermore, the tot has garnered over 673,000 followers on Instagram giving a nod to his popularity among Korean audiences. Sam Hammington not only speaks Korean fluently but he also reads and writes it correctly. He has two dogs Mandoo and Gaji. A video posted by his wife on social media in April 2018 where their son William was hitting his pet dogs with a foam sword flared viewers up in arms, accusing the toddler of animal abuse. In response, she deleted the video and apologized for her careless act and parenting. Hammington also posted a follow-up apology for his son’s action. For a 2018 episode of The Return Of Superman, Sam and his family went on a vacation to Singapore and visited Sentosa and the Marina Bay area.